This year we had great plans to go to Wales in the spring and to Scotland in the late summer. The first part of a plan is usually the easiest, so we did make it to Wales and didn't go to Scotland. The RBR-score was not super, but still enough to be at the upper side of the bronze plaque. Wales can be sad in the rain, but this is quickly forgotten, when the sun shows around the corner of a cloud every now and then. By a co-incidence we pitched on a farmers campsite near Cwmystwyth, a recommendation for those that like a quite night at a riverside (Ystwyth river). 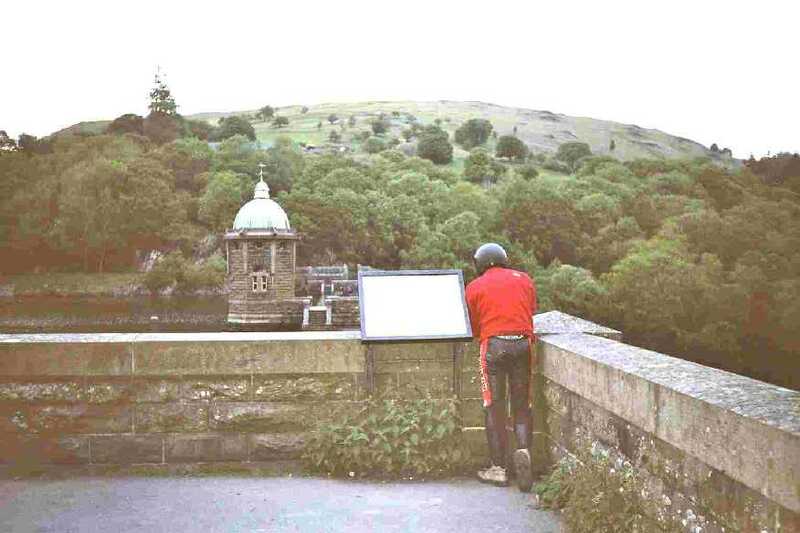 A little more to Rhayader is a very large hydro-power dam in the river(near Elan). This would be a nice landmark for one of the oncoming years. On our way back, we took the Severn bridge at Chepstow, the muddy water of the Severn makes it easy to imagine the merchand galeons ans smuggler yawls sailing up and down the river in the 16th century. Near Oxford we managed to get another few landmarks. Click on the landmark icons to get the story and pictures.